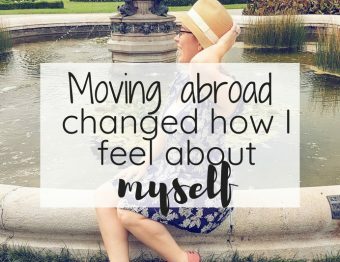 Moving abroad is a big deal. I mean, like a REALLY big deal. It’s not easy. Between emotions, red tape, practicalities, and making friends, it’s just plain hard and you have to be a little crazy to do it. If you want to be crazy like us, then here is your guide on how to move abroad. That being said, I don’t regret it one bit. 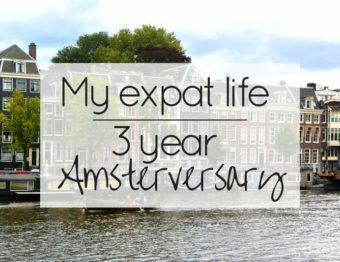 We’ve already told our story about why we chose expat life, but you need to find your “why”. Just as importantly, you need to know your “how”. While we live in a sometimes seemingly small global world, you can’t just pick up and move to a new country without a visa or passport that allows you to do so. 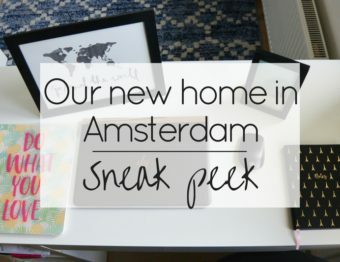 This post is meant to get you thinking about your motivations, your options, and your feelings about moving away from your home to start life anew as an expat. If you have anything to add, I hope you comment below so we can all help each other! I’ll try not to get too deep and mushy on you! But it’s a good question, right? Your “why” in everything you do is important, including this major life change. Just a tip, you can’t move away from your problems. They will catch up to you and are probably harder to deal with if you’re away. But if you are looking to enrich your life, try a new lifestyle, or even just to see what it’s like to live where wine is cheap and good, then go for it! We wanted to experience life in Europe and be able to travel frequently and fairly cheaply. We did, and we love it. Best decision ever. But we knew our “why”. It’s easy enough to leave a country, but it’s not super easy to stay in one that isn’t your home country. I really think people forget the basics of this. You can’t go anywhere you want at any time without preparation. And you certainly can’t just claim your residency without lots of paperwork and justification. Make sure you are legal! Do your research! This is not something I can answer for you…mainly because there are so many different ways you can move. Can your company transfer you to an international office? Would you like to join the Peace Corps? Are you qualified to be part of Doctors without Borders or a traveling nurse? Volunteer through many organizations that you can find if you Google “Volunteer Abroad”. There are working holiday visas through countries like Australia and New Zealand. Not every country has this kind of visa available though, but here’s a list of those that do and who it is offered to. If you enjoy being around children and have the experience and maybe even the education for it, becoming an au pair could be a great option. Native English speakers are always wanted as teachers in many Asian countries. Some countries have a program for freelance visas as well (usually you need to prove guaranteed income). There’s always the option of being a digital nomad and just going through tourist visa after tourist visa and not really settling anywhere as long as you can work from your computer. Research your family history to see if you have a right to citizenship in another country. That’s what Sean did and it really paid off for us! It’s easy to say “I want to be free!” and travel far away to start a new life. Be real with yourself. Can you do it? Are you self-sufficient now? Are you a self-sufficient adult? Do you pay your own bills? Basically, can you be independent? I was pretty independent when I went to college. My parents were amazing enough to help pay for my college fees and all that went along with it. But other than that, I grew up fast in college and once I graduated, I got a car loan, rental apartment, and steady job on my own. My finances were all on me and I was responsible for my own life. This is so important and I can’t stress it enough! You have to be able to take care of yourself, because these applications, fees, working on finding housing and jobs, is all on you. Making friends doesn’t come easy for some people. We’ve figured out that we’re probably not the only ones, because our post about how to make friends as an expat is one of our most read! It’s not just about making friends but leaving your current ones behind. The internet is an amazing thing and can keep you in touch easily through Snapchat, Facebook, Skype, and all the other websites and apps that let you connect. People change, time zones are annoying, and life gets busy. While you don’t have to be okay with losing touch with people (that’s on you), you do have to be okay with their lives and yours going in separate directions. Once you make new friends, it’s amazing how many more people you’ll meet…from all over the world! As long as you are open to new experiences and new people, your life will burst with enrichment and possibilities. Unless your company is moving you or someone is taking care of everything for you, having a good chunk of money stashed away is a must! 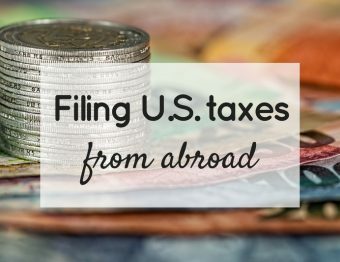 Depending on how you get into the country, you may have to prove how much you have so that you will not fall back on their social welfare system. We planned savings for about 3 months of living before we moved (probably should have planned for 6 months, if we’re honest). Always save more than you think you need. The first month may feel like a vacation, but try not to blow all your money during that period. This is definitely a “learn from our mistake” situation. Use that time to feel out your new city. We shipped only a couple of boxes and took everything else in suitcases. There are services to ship your entire house full of stuff if you need it, but less is more in this case. Remember, many places don’t typically live in homes as big as they are in the U.S. and Canada. We’ve known many people that had to sell their stuff once they got to Europe because all their belongings wouldn’t fit! If you have little furry family members (pets), you will likely need documents before the pet is allowed to enter the country. While you’re at it, see what kind of medical and dental records you can grab before you leave as well. Better to have them than not! Know how you and your stuff will arrive. Have a place lined up to stay…even if temporary. Buy that ticket and know any limitations on weight or luggage allowance of your airline. The actual move might be the most stressful part, but you WILL get through it! These are the basics and this is nowhere near a comprehensive list. But I hope this helps get you started on your journey to try a life abroad wherever that may be. I can promise you that it’s an experience that will enrich your life and force you to grow as a person. You may even learn things about yourself you never knew. This is such a good post with awesome advice! People are always asking me how to move abroad, and sometimes it’s nice to have something like this to get you started. Thank you! You are exactly right. The process has to start somewhere. It’s overwhelming for sure, so I wanted to put this stuff out there to help those just not too sure where to start. Such a great post filled with wonderful tips and insight! Only wish we had it before we embarked on our move to Canada! Great article! We are planning a move to Germany from Texas. Most of the leg work is being done by my husband’s company BUT I am still left a little stressed and not knowing what to expect! That’s so great that you have help with the complicated stuff but I totally understand being a little stressed about the unknown. Find something you are looking forward to when you move (food, wine, travel, castles) and look forward to that and see if that helps the stress. I hope you have an amazing experience! You are such a good writer! Really handy tips for exapts. It is for sure not easy to pack all your stuff and leave, but don’t forget that there are so many things that you need to take care of before you can go. Yeah, these are some more like emotional changes and sacrifices you have to make to live somewhere else. 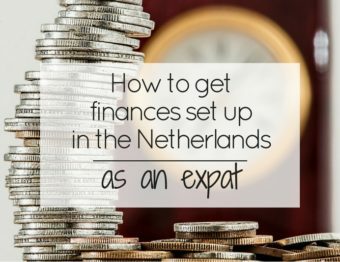 Good post, if try to find how to move to another country almost always pops up a service or something that is related to do some document stuff. Not very often i see info that makes you wanna think before doing something.